If you’ve purchased one of the homes in Lakeville from Key Land Homes, you won’t need to do much DIY on your home. But that doesn’t mean you can’t use all of those tools to enjoy various hobbies or add some decorative elements to your home. 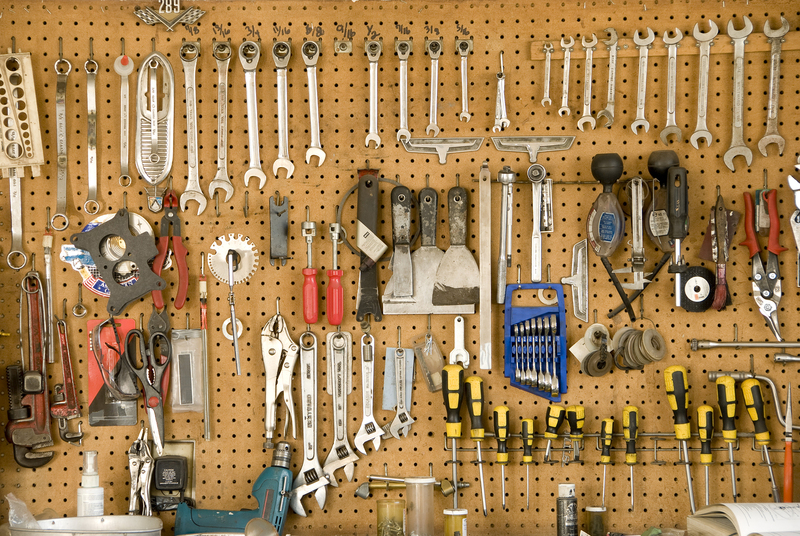 If your collection of tools is big enough to have its own space in the garage or at least a few toolboxes, then here are some tips to help keep it organized and a pleasure to use. Whether you have a selection of toolboxes or numerous drawers, make sure you use inserts, whether designed to fit your toolbox or adjustable to fit any drawer. This makes it easy to group similar tools together or divide similar tools out so that you can easily grab what you need. You might also want to keep a spare on hand to hold all of your tools as you’re using them so nothing gets lost and can be quickly put back in place when you’re done with a job. Another option for drawers are non-slip liners. These are particularly useful if you’re keeping larger tools in drawers, such as electric drills and such. The non-stick liner prevent tools from sliding around and they can even be useful in toolboxes. The screwdriver is one of the most important tools any home will have and inevitably, you’ll have quite a selection of sizes and heads. Whether you have a space to hang them on the wall or use a select toolbox, a magnetic strip is perfect for keeping them organized and within easy reach. Get really organized and sort them by Philips and flat-head screwdrivers. Where there are screwdrivers, there are usually a variety of screws of all sizes, not to mention screw bits, anchors, nails, hooks, and other small items. Be sure to purchase small plastic organizers, either in case form or stackable drawers, so that you can easily find what you need. They’re ideal for those small but important pieces that get lost easily. If you’re lucky, your wrenches and sockets were purchased as a group and have their own storage cases. If not, it’s important to look for wrench and socket organizers so you can always find the one you want at first glance. One handy option is to purchase the organizers and then attach them to a piece of plywood that can either be hung up or fit into a drawer, ensuring everything stays together. If you do a lot of your work in the garage or a similar spot, you may want to invest in shelving and hanging systems for your tools so that they’re always within easy reach. However, you may also want to keep a smaller toolbox containing certain items that tend to be used around the house, such as a hammer, pliers, box cutters, electrical tape and similar items. By having a dedicated tool box for the home, your personal stash of tools is less likely to go missing. Plus, it will make doing those little chores around the homes in Lakeville easier and more likely to be done in a timely manner, keeping everyone happy.